How Can I Help Refugees in Red Deer? When a foreigner lives with you in your land, don’t take advantage of him. Treat the foreigner the same as a native. Love him like one of your own. Remember that you were once foreigners in Egypt. I am God, your God. Since January, 78 new refugees have arrived in Red Deer. Agencies, churches and volunteers are working hard to get these families resettled and in a position to start their new life in Canada. This provides us, as followers of Christ, with a huge opportunity to “give an answer to everyone who asks” about the hope within us (1 Peter 3:15). We have seen many embrace Jesus after being welcomed and loved well by a local church. 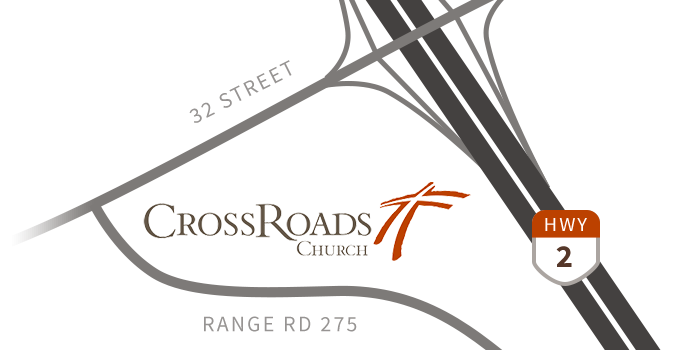 So, CrossRoads Church, let’s welcome and love them and trust Jesus is at work and ready to do great things! 211 is here to help you find the right community and social services. You can dial 2-1-1 to speak to an Information & Referral Specialist, or search our online community resource directory. The Coming Hope: a great resource in ebook and audio form in Arabic to communicate the gospel message. By far the deepest need and greatest opportunity we have is to offer friendship that is centered on the perfect love of Christ. The challenge is that relationship requires something precious: our time! Contact Missions@CrossRoadsChurch.ca who will assist you in making those connections. A commitment of 2-4 hours per week is enough to greatly impact a life! Know English? Over a coffee, on a walk, or in a class, help a newcomer practice their English. This is a great way to start a relationship and get connected to the community! Sign up as a Language Partner at the Dawe Library (403.341.3822), by contacting Lois to get training and be matched one-on-one with a newcomer learning English. Currently they have a shortage of volunteers. As there are long waiting lists for official English classes at CARE, there are classes that are offered downtown in the basement of Canwest Travel Company. All English levels are welcome to come and get help with whatever they are working on whether it is homework, conversation, filling out government forms, and/or basic ABCs. There is a shortage of helpers and teachers. A teaching certificate is not required for volunteering here. Drop in anytime and see if this is your niche! 5018 Ross St. Tuesdays, Wednesdays, and Thursdays from 9:00am-1:00pm. 403.877.4737. Do you speak Arabic? CSS has 3 settlement staff who speak Arabic that all of the Syrian refugees will be using. Volunteer translating would be very helpful. Adopt a family – Pray for, visit, and host a family helping them through all aspects of starting over and integrating. Know how to drive? Help someone practice their driving before they take their driver’s test. Host a family for a holiday. If it is a Christian holiday teach them about its origin. Help a newcomer understand some Canadian living tips. Dress in layers, stay dry in the winter, store things in shelter over winter, plug in your car, and learn to play in the snow. Are you fun? Ha! Invite a newcomer to join you! Go skating, tobogganing, watch a sporting event, snowshoe at Kerry Wood Nature Centre, etc. Some come suffering from much trauma and having fun as a family is very helpful for their overall health. Be YOU! Have an idea? Give it a shot! Be mindful: newcomers don’t want to be projects or charity. Humbly give and humbly receive. Our objective is to love by connecting and empower newcomers in the name of Jesus and for his glory. Sort clothing donations (commitment level ranges from 2 hour/month to 2 hours/week). Contact 403-877-4737 for more information. If you are in a position to employ a newcomer or even offer some skills training please let Catholic Social Services – Resettlement Program know. 403.346.8818.The need can range anywhere from 5-40 hours/week. Some newcomers do not come with education or skills however a longing to learn and contribute. Remember however that some DO come skilled and some even highly educated. Given an opportunity to work especially in an area of interest or expertise is incredibly empowering. Affordable housing has and will be a great challenge for these newcomers. Do you own or know of someone who may have rental properties available? Please contact Catholic Social Services – Resettlement Program. 403.346.8818. There will be an in-house need for refugees sponsored through our church community. Contact the Missions office at Missions@CrossRoadsChurch.ca for details. Give good quality items for household setup. Also, Superstore and Walmart gift cards are greatly appreciated. The most current needs are bedding (sheets, pillows, pillow cases), microwaves, car seats (baby), kitchen things (pots, pans, dish sets), etc. These can be donated to Catholic Social Services, Immigration and Settlement by calling 403-346-8818 or call 403-877-4737 to bring things to the basement of CanWest Travel, 5018 Ross Street (current needs include coffee and end tables; vacuums and microwaves and tv’s). Also, contact Red Deer Welcomes Red Deer for larger items. Please don’t bring them to the church.